I really felt impressed by the Spirit to ask him to preach. Japheth has a unique gift of leadership – the quiet, humble, servant-like kind, as well as an intense desire to understand the relevancy of the Scriptures more intimately in order to be able to share with others . I saw something in him, perhaps a potential for something great. 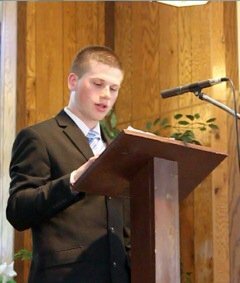 So, for the next few months I kept on badgering him to preach for our next youth Sabbath. Time and time again he would decline my offers, slyly change the subject, or just outright rejecting my gentle encouragement. Then, one day he made me an offer I couldn’t refuse. “Pastor Anna, to be honest I’ve continued to reject your offers to preach because I don’t feel it would be right since I’m not yet baptized.” I felt the Spirit urge the words right out of me before having the chance to think it over. “Is that something you’d like to change? Would you like to be baptized?” I asked him. The words that came next could not have been sweeter than if I had just been proposed marriage. “Yes. And after I’ve come up from the waters a new person, I will preach!” he said. I asked the Spirit to permeate our Bible studies in the weeks to come, to captivate us, to inspire us, to enlighten us, and to work miracles not only on the behalf of this eager young man, but on our whole youth group. And instantly those prayers were answered. The week after Japheth and I began studying, Griffin came and asked to be baptized! Two weeks later, Bridgit came and asked to be baptized! 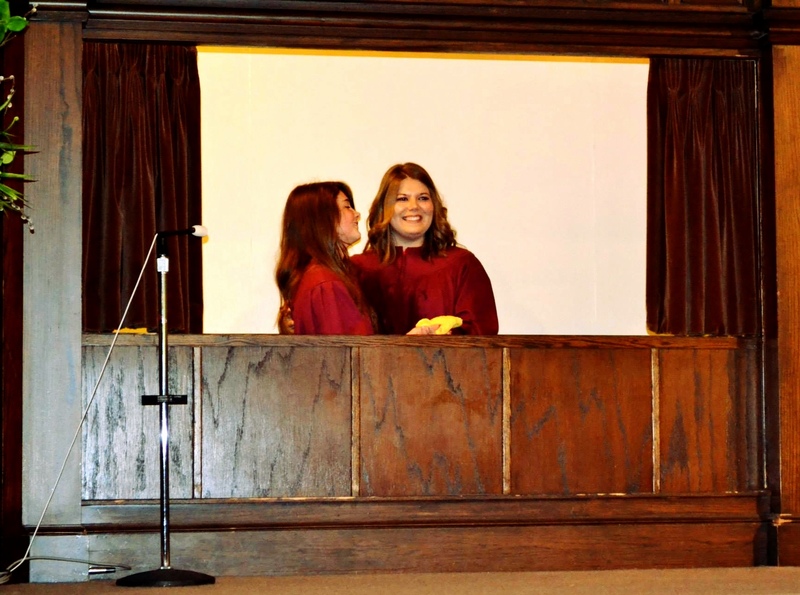 Another two weeks after, Hannah and Becca came and asked to be baptized! It wasn’t the number that surprised me, it was the condition of their hearts – their yearning for a deeper relationship with Christ which humbled me with the affirmation that it wasn’t my job to convict and convert…it was the One whom the Father had sent to us to draw us closer to Him. What started out as a short Bible study series lasted for months because of their passion to know the Scriptures better. And frankly, we were just having so much fun! At times their tough questions motivated me to dig for answers and cultivated lengthy Spirit-filled conversations as we wrestled together in becoming more authentic Christians in today’s culture. Overwhelmed by the vision of what I saw God calling this generation of youth and young adults to become, I heard an audible voice declare these youth to be the Daniels in today’s Babylon. With unique talents and gifts they will be called to places we once deemed too evil to break into with the gospel message because of the urgency of this testimony to be proclaimed in exactly those kinds of places. Places like Hollywood and corrupt billion-dollar corporations, politics, and media – God is calling this generation to live in the world and equipping them with the Truth so as not to be of this world. On May 18 and June 1 these five youth went into the waters of baptism and came up as new creations, transformed by the work of the Holy Spirit, ready to discover and fulfill the calling God is working out to completion. I could hardly be more proud and humbled to have been a witness to their journeys and I can’t wait to see how God will use them to bring about His soon coming! As a result of watching Amazing Facts television, Maria Shirokov came under conviction that she needed to be baptized by immersion and become a member of the Seventh-day Adventist church. Having been born and raised as a member of the Russian Orthodox Church, this was not an easy decision for her to accept. 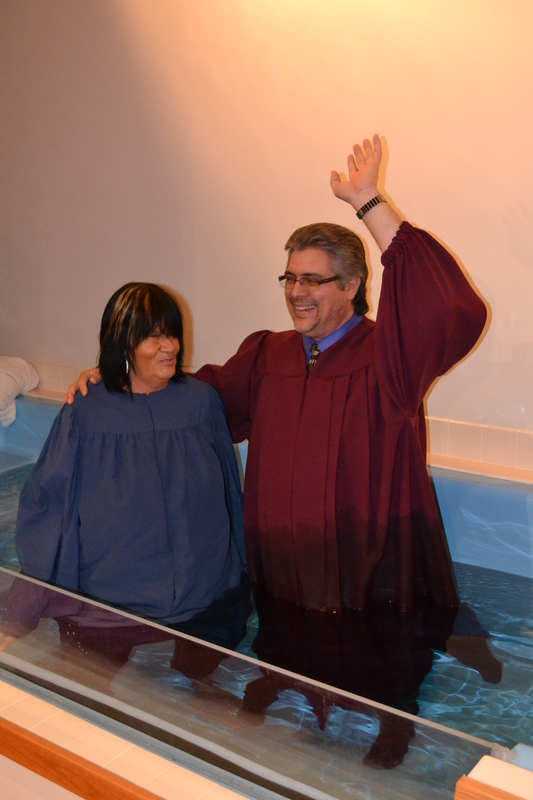 But her commitment to Jesus won out and on Sabbath afternoon, June 8, she and a group of her closest friends from the Pathways Church in Maple Grove met at Weaver Lake to rejoice with Maria as she was baptized by her pastor, Sherman McCormick. Flowers and singing, led by Sergey Kobzev made for a spirit of praise and celebration. The members of the Bemidji and Park Rapids churches are rejoicing after two back to back evangelistic series with Lyle Albrecht. The Bemidji series ran from March 16 to April 13; the Park Rapids series ran from April 20 to May 18. As you read on, the importance of friends and family in evangelism will become apparent. The last day of the Bemidji series was a full one! During the morning worship service, Lyle Albrecht brought an inspiring message on the Resurrection. Then at 3:00pm, following Fellowship Dinner, Erin and Jerry DanLess were joined in marriage by Lyle with Pastor Ken and Karen Mayberry standing up with them. Erin and Jerry (JD) had been attending for some months at Bemidji with Erin’s two boys, Myca and Shaye. They had invited other members of their family to the meetings. In the baptism that evening, Erin, JD, and the boys, were joined by the boy’s father, Joe, and Erin’s father, Ray. 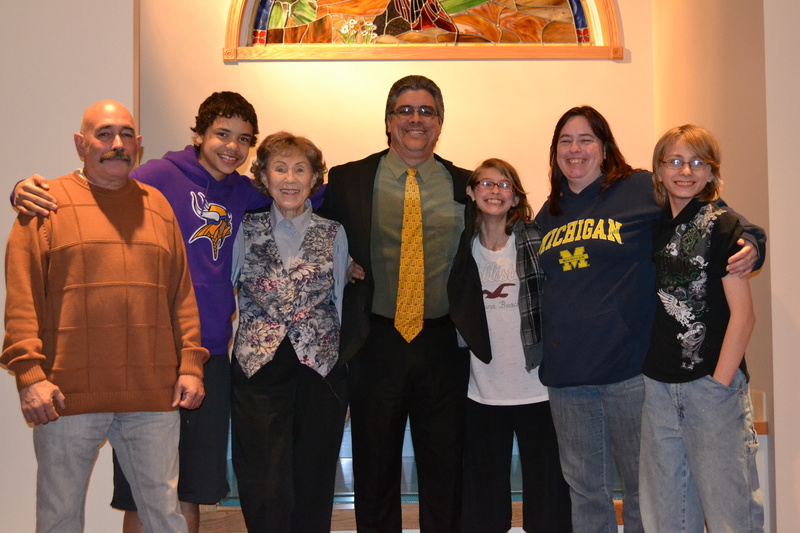 In all, eleven were baptized and four became members of the Bemidji Church family by profession of faith. 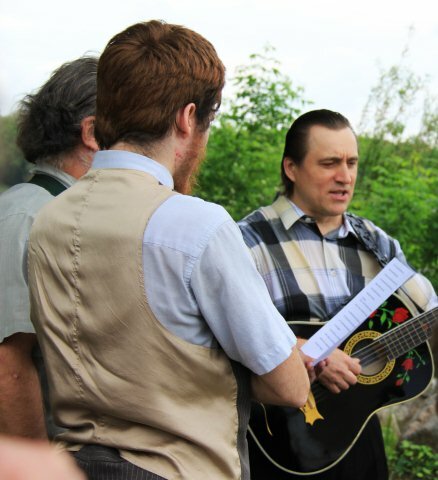 Shep Wilimek had been attending church at Bemidji for some time and became connected with us through his music talents. Lowell O’Brien and Arnold Anklam had been attending recently and were acquainted with Lyle from watching 3ABN. Ethelyn Collver had become acquainted with us through friends in North Dakota years ago. More recently 3ABN had been instrumental in sending her our way. Commander Robert Saddoris had been attending for some time, and had gotten to know us through Walter and Marjorie James. Rebecca and Elizabeth Himmelright had also gotten to know Lyle on 3ABN. 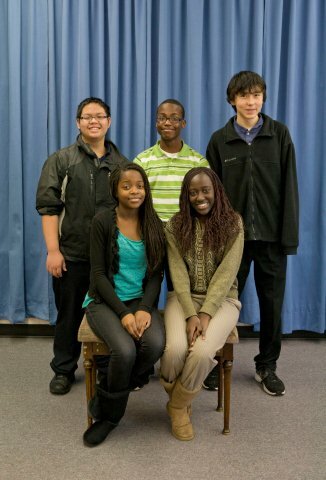 Eunice Nyanamba has an Adventist background and is attending school in Bemidji. Janet Kern had been a member and was re-baptized. The following week, Don and Kay Shook also came in by profession of faith, after Kay’s bout with the flew prevented them from attending the last week of the meetings. They also knew Lyle from 3ABN. A total of 17 new members were added to the Bemidji Church. The last day of the Park Rapids series was also a big day for them. Pastor Mayberry left his duties at the Men’s Retreat in good hands and drove up with Melvin Geyshick to perform the baptism at 7:00pm. 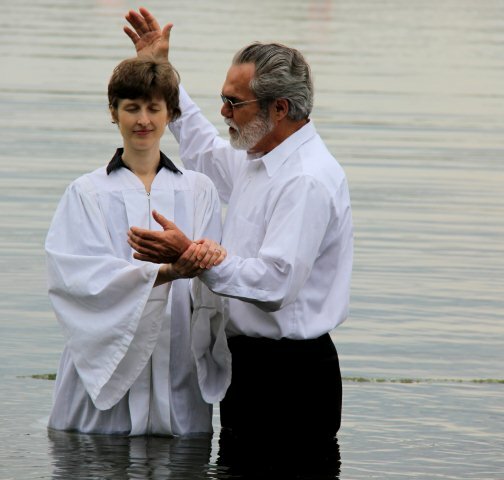 Everyone who was baptized already had a connection with the Park Rapids or Hackensack churches. Cindy Tschudi had been studying the Bible with Clair and Jana Erickson. John and Emily Howland had been attending at Hackensack for a number of years and became acquainted with us through volunteering at the Share ‘n Care thrift store. Sam Ronnebaum had been bringing his son, Ricoi, to church for a few years. Henry Maki had attended a group study with Clair and Vern Erickson. Alexis Johnson had been attending with her parents Jeremy and Michelle. Larry and Margarot Flaherty had been attending events at Park Rapids for some time. Billy Fonseth and his two sons, Zander and Emry, had been attending with his mother, Karen Warnick. 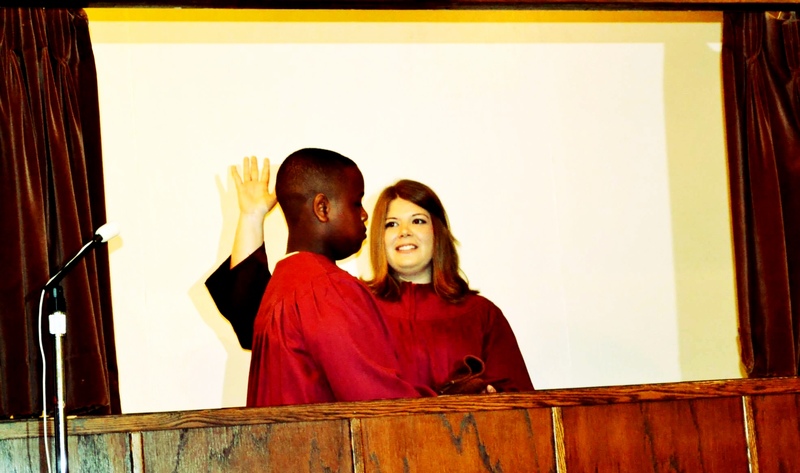 In all, twelve were baptized that Saturday night. We are very thankful that Lyle Albrecht, who usually holds meetings at much larger churches, took the time to partner with us to bring in a harvest of souls. Both churches are now working intentionally to make sure that each new member continues to be mentored and descipled in the months ahead. Please remember them in your prayers. Well, I have a complete opposite story for Hinckley SDA church and the seminar that just took place this past May. It started like any other seminar; elders got together, budgets started to be planned out and dates were set, only with one small difference. Pr. Rodriguez actually began to “train” people on how to be involved in a seminar and how to be in fellowship with visitors. He took his childhood history and experience and took the very best of all and applied it to this seminar. He started with an interest list, member list and handbill list along with a mass mailing list that was started in order to attract those who were to learn more about God and the second coming. He trained individuals who were to usher people into the church ready with smiles and umbrellas in case it rained, the registration booth was run by his family (wife and daughter), invited the neighbor church to also be involved and fellowship with the visitors, Pr. Rodriguez was also ready to answer any questions as well as being involved in the fellowship with visitors and members, truthfully, there was a sense of family all around. In the middle of the meetings, Mother’s Day came about and the church took advantage and invited all who were interested in coming for a dinner prepared for all those who would come and fellowship. It was made clear to all members and visitors that all we wanted to do is have a special dinner for everyone who was interested and “no strings attached.” All we wanted to do is for the visitors to get to know us all as a church family. The attendance was favorable as most members from both churches attended and a great number of visitors attended with their friends and family. Pr. Rodriguez kept on emphasizing that we are here to spread the Word and that his job was to equip everyone with as much information as necessary for them to get closer to the Lord and the truth. He continued by explaining that he did not have all the answers, but that the Bible did and his job was to guide them to find it. Visitors were moved by his humbleness and honesty and they developed a sense of trust throughout the meetings. Our unconditional love and true interest towards these people’s salvation prevailed and so we had 7 baptisms to thank the Lord. All of these baptisms happened within a day towards the end of the Seminar meetings – 2 of them were a complete surprise and not planned. Truly, the Holy Spirit was in total control that Sabbath. Tears flowed, smiles and hugs were shared among members and newborns in Christ. There was so much love and happiness throughout the evenings that even though all of us were tired and exhausted, somehow God gave us strength to continue each day. The fear, the excuses and justifications somehow went away once we all saw the reaps of our labor. Hinckley was not another church programmed to say: “Yes, we want a seminar.” Hinckley was not another church who made excuses when it happened. Hinckley was not another church who budgeted for another seminar. 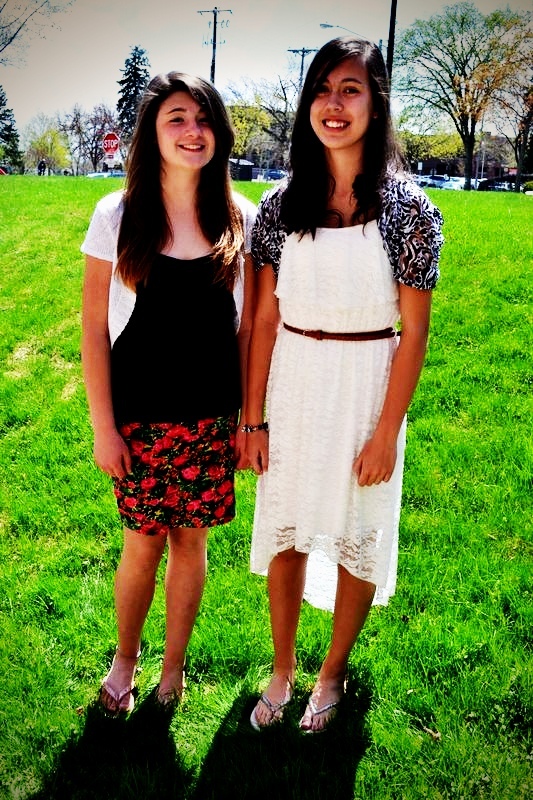 Hinckley did not just have another seminar – Hinckley grew its membership by becoming a family. The Saint Paul District witnessed some pretty amazing things when God enabled us to start a Distance Learning site for Maplewood Academy. These events encouraged me beyond imagination. May they encourage you as well. We had been working on this project for over two years. When I came back this summer from a mission trip I knew I would have to get busy again to get things ready for opening day at our campus at CCACS. I had the assurance we were closing in on our benchmark of five students to get started and all that was left was to get in touch with families to seal the deal, and to make sure they could afford the education which was priced at our site at $6000 for the year. The closer we got to our deadline the more apparent it became that we were not going to make our benchmark. We had four students, and had exhausted our list of prospects. We had no one left to approach. Then out of nowhere a family showed up at Capital City Adventist Christian School expressing an interest in Christian education; one of their children was in the ninth grade. My heart was racing when I met the family who had recently immigrated to the US and they shared their interest, but my heart sank when they told me there wasn’t much they could do towards tuition. Four children and a wife, and part time work at sub-standard wages made it plain that if their child was going to be in our program it would take a miracle. I set up an appointment with the family to discuss the options. I also contacted the only person I knew who could write a check in the amount they needed. The only problem was that donor had his heart set on another project at church that for the past year just wasn’t getting off the ground. I called the donor’s daughter and laid everything out…three projects that I was asking him to choose between: an elevator, which was his pet project, live streaming equipment, and sponsoring our fifth student for distance learning. The daughter promised me she would share the options with her father but not to expect him to change his mind. At 92 there was enough history to know that once he had made up his mind to do something there was no peace until it was done. And for the last year there had been no peace. I promised I would pray for her and her dad; which I did. “It is at the time His people see no way to advance, when the Red Sea is before them and the pursuing army behind, that God bids them: ‘Go forward.’ Thus He is working to test their faith. When such experiences come to you, go forward, trusting in Christ. Walk step by step in the path He marks out. Trials will come, but go forward.” Prayer, 16. I met the family later that evening and we prayed again. I shared this passage with them. I laid everything before them. I told them everything. This was a long shot, and it would take a miracle for it to come through, and I asked them, “Do you believe in miracles.” And they said, “yes…we survive on miracles.” So we started by faith to fill out the paperwork to apply. On the financial sheet it turned out they could cover $1500 through a new convert grant and discounts, due to the student’s good grades and things like that, but we still needed $4500. I hung up the phone and turned to the family of the student. And with a huge smile on my face I told them I just saw two Red Seas part. Their student was fully funded and the donor for the first time in his 92nd year of life found peace. With student #5 in place I left that home that night riding high. The next day, and I kid you not, it became clear that student number four had never had any intentions of attending our school. But with the miracle of the night before still filling my sail I was certain God must have another plan for our campus. By Saturday night, the day before registration day at MWA, we revisited two other students we had recruited earlier, to meet with parents, and learned their students could not attend either because of money. We were down to two students. On Sunday we registered those two students by faith we would have 5, though we had no idea how. Move forward, right? 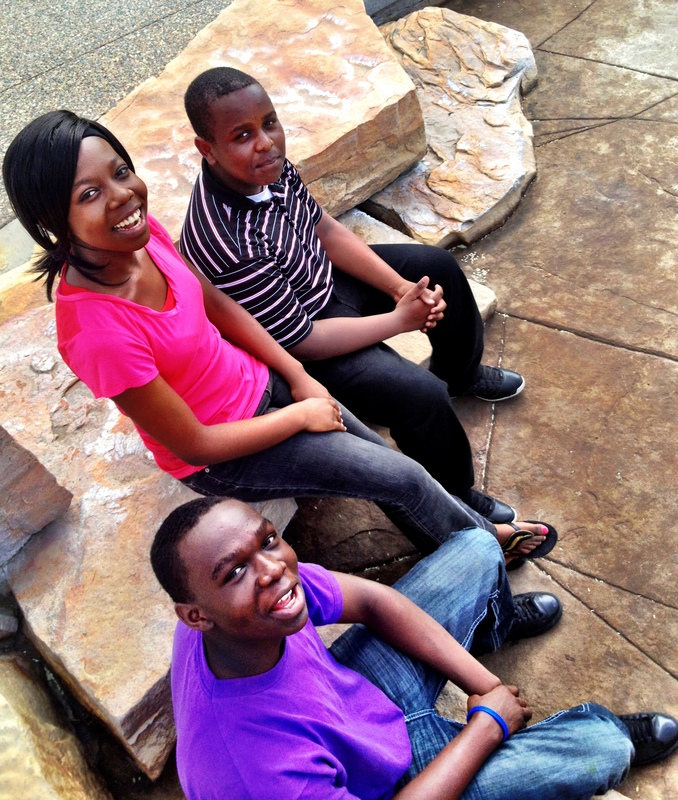 That same day a donor who had been unemployed for three years had just received work and promised to sponsor two students out of gratefulness to God for His blessing. Just like that we were back up to four students. We received four more names of students to look into, but none of these panned out; until Friday of the first week of school. We got a phone call that a parent had called Maplewood Academy to enroll his student but he was referred to us when the discussion turned to finances. The family lives 30 minutes from the campus in Saint Paul, but they were certain that God wanted their child in Adventist Education again. With father unemployed and mother a full time student, and five mouths to feed in their home I asked again, “Are you sure this is God’s plan for you?” And they both said yes. I told them we would give God until 12 noon on Sunday to raise the money needed. We knelt down and did just, that thanking God for the opportunity to participate in a venture that could only be successful if He did it. An appeal was made at Saint Paul First and Saint Paul Eastside Churches and we laid the whole issue before them. We needed $4500 by 12 noon on Sunday and we had this one option left. By 12 noon the next day we had exactly $4500 to the penny donated to help this student no one had even met. Fourteen donors from two different churches working together to make it happen. It is at the time His people see no way to advance, when the Red Sea is before them and the pursuing army behind, that God bids them: “Go forward.” We celebrate a season of Immanuel, God with us. He is with us. Together let us continue to move forward…with Him. Maplewood Academy is selling Kwik Trip Gift Cards for a fundraiser! Purchase $20, $50, or $100 gift cards and 10% of the sale will go toward Maplewood’s Student Assistance Fund! Gift cards can be used at any Kwik Trip location and can be used for gas or anything in the store. Email lcummings@maplewoodacademy.org, call Maplewood at 320.587.2830, or stop by the MWA business office for your gift card orders.